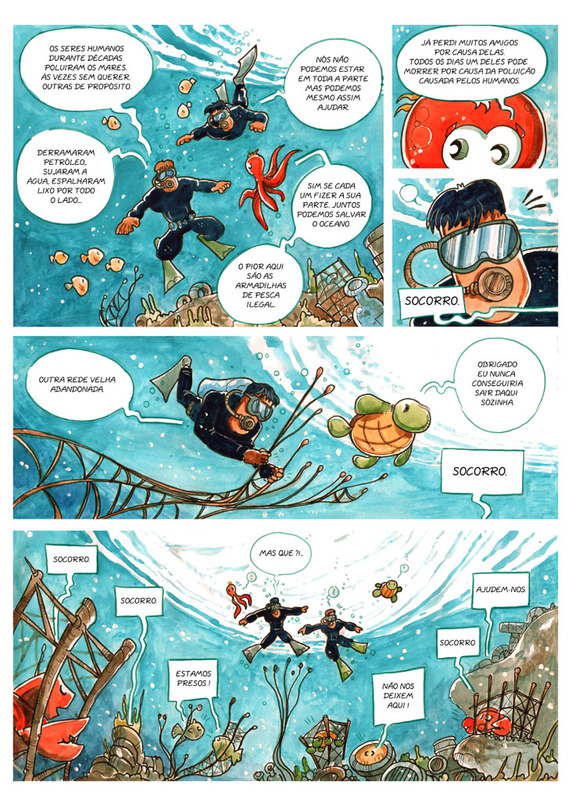 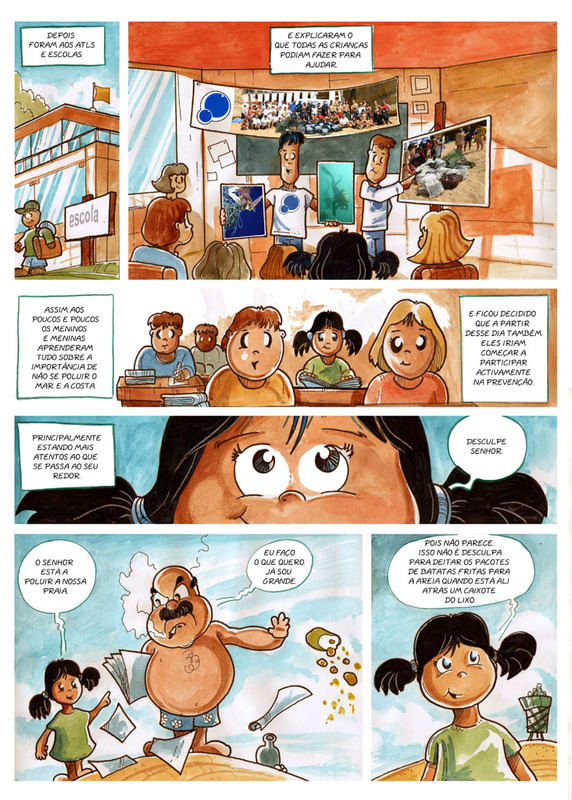 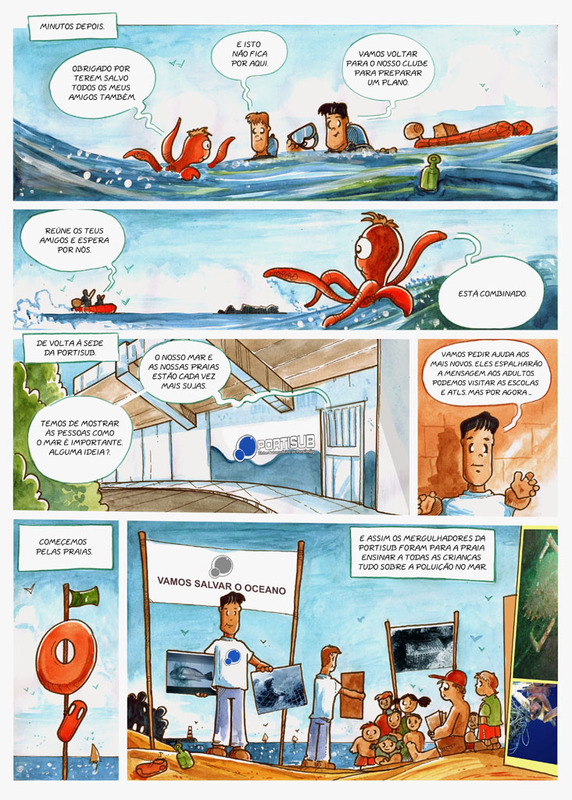 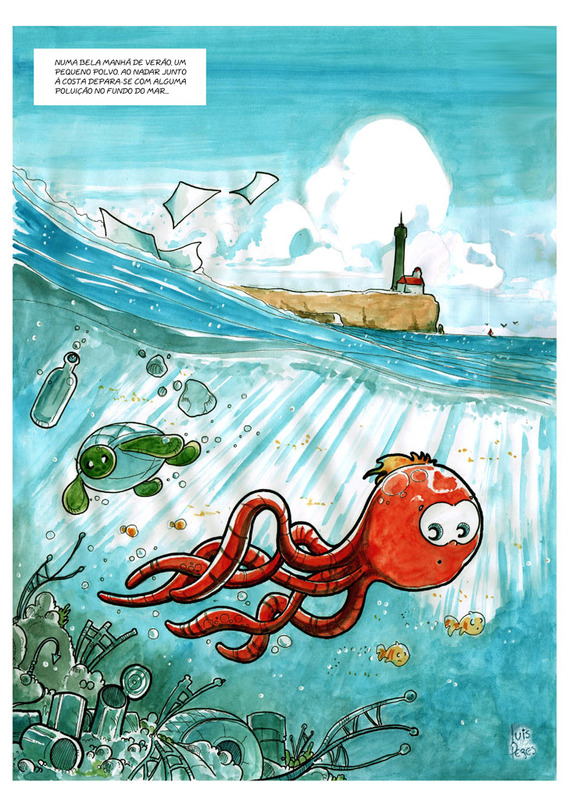 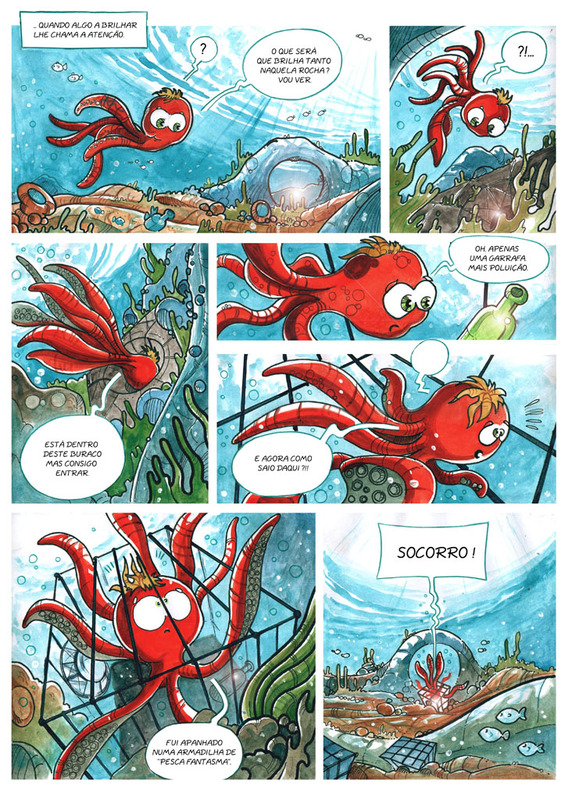 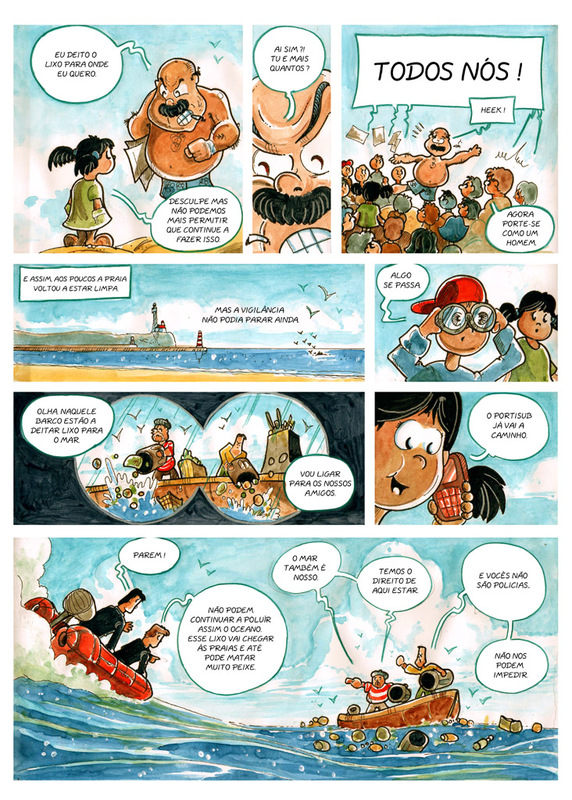 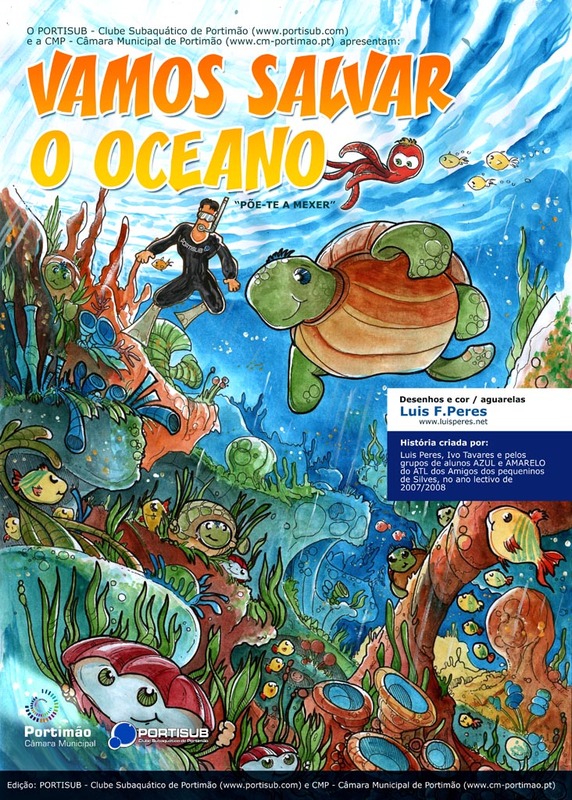 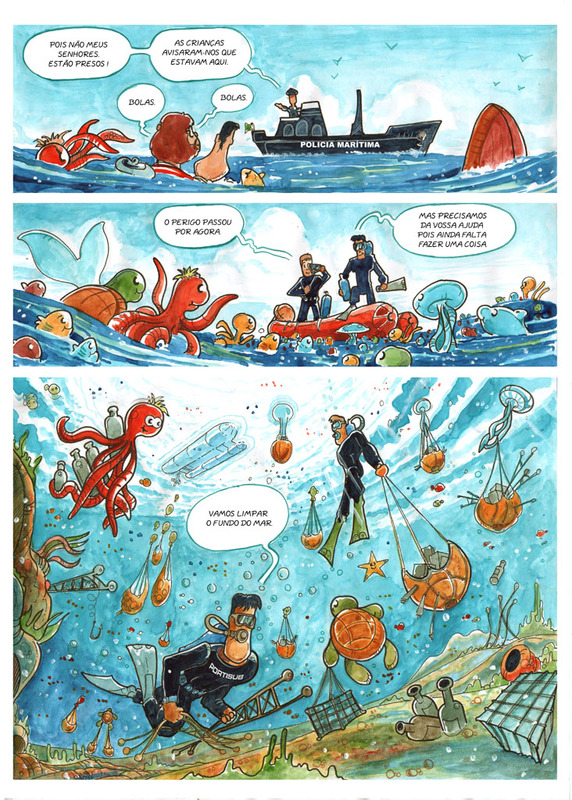 This was a regional eco-comics for kids project that I created here in Portugal almost 10 years ago and which was then later also distributed outside Portugal sponsored by the Project Aware Foundation. 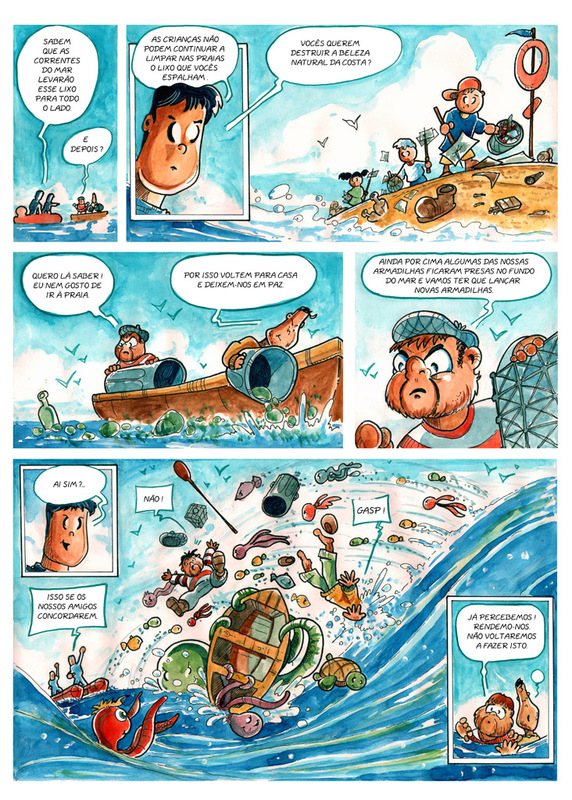 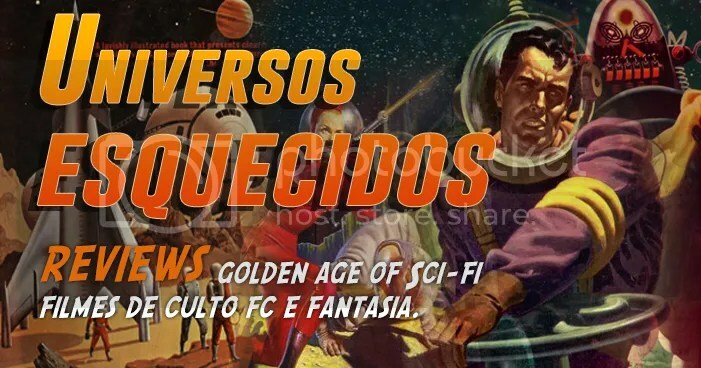 Here´s the original Portuguese pages just to show the general look of this work as I don´t have the international version with me. 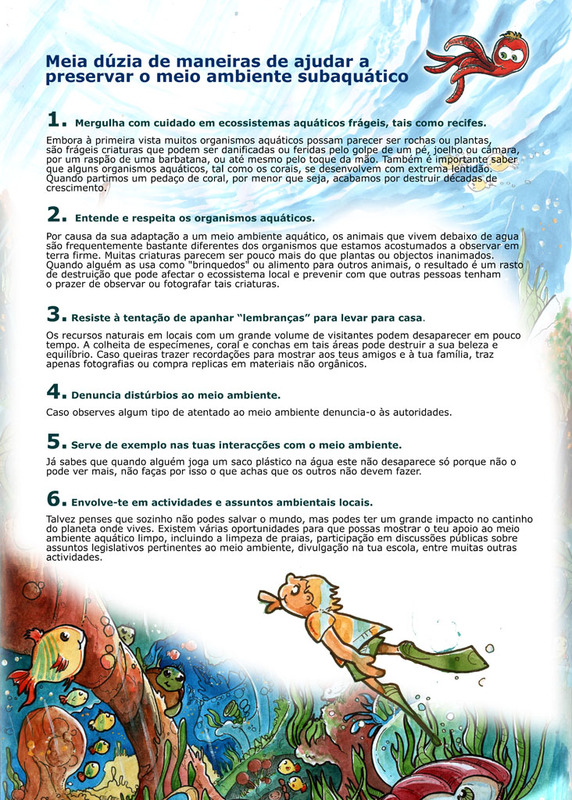 Still a bit rough in style but this was from a transition period of mine and so it depicts more or less all my strenghts and weaknesses at the time. 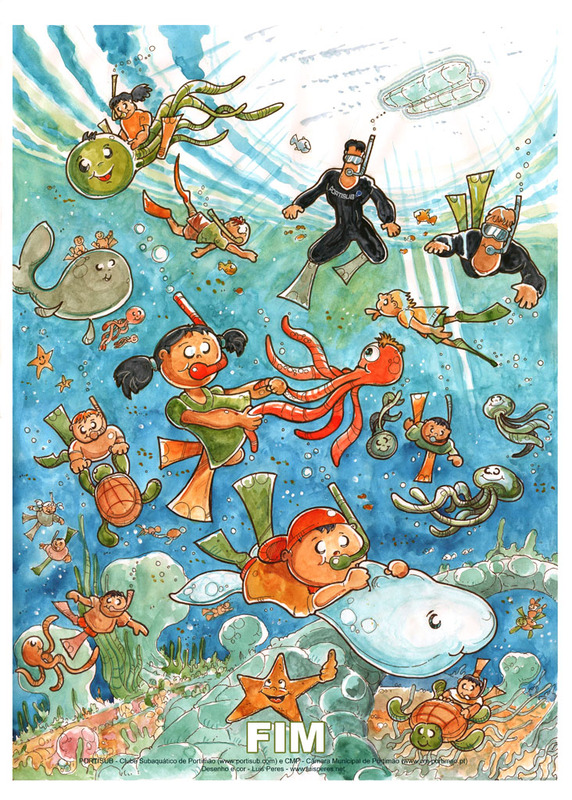 This was still done entirely in color pencils and water color. 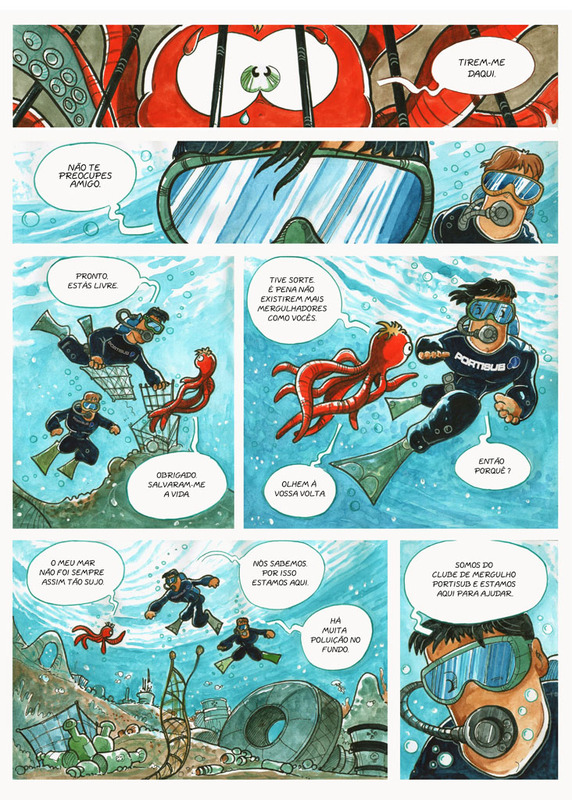 No digital yet. 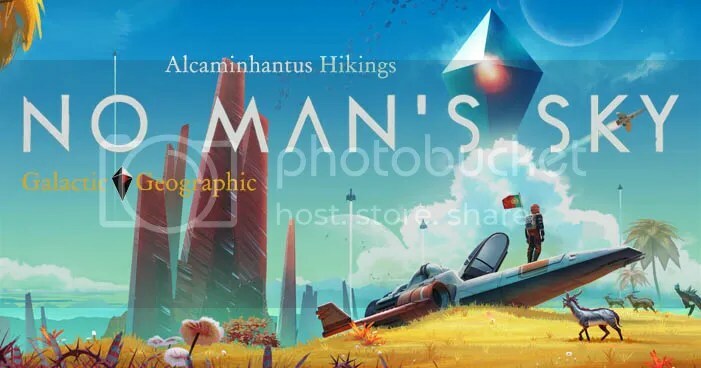 ← NO MAN´s SKY : My original REVIEW from August 2016 when the game came out and long before any updates were released. 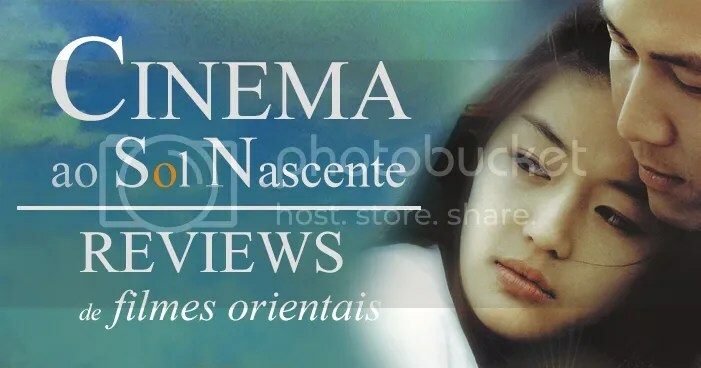 NMS Raw.